Terry Smack believes in the old adage that “if life gives you lemons, make lemonade”. She used to work with her husband in the automotive industry until they went through a less-than-cordial divorce. “I decided that the best thing for me to do was go out on my own and do something different,” Terry said. She took a job with an automotive titling company. She soaked up the knowledge and skills, and she wanted to advance in her job. She could only go so far in someone else’s company, though, so Terry opened up her own company in the basement of the Watts Center in Finksburg. The office was 800 square feet that Terry now lovingly calls the dungeon because of its location and the small windows they had. She and her employees dressed up the space with license plates, pictures of old cars, and automotive memorabilia and went to work. “We can do everything that the MVA can except issue drivers licenses, and we do it quicker,” Terry said. Terry opened her second location after five years and her third a month after that. She now has six locations in Eldersburg, Owings Mills, Taneytown, Union Bridge, Westminster, and Columbia. 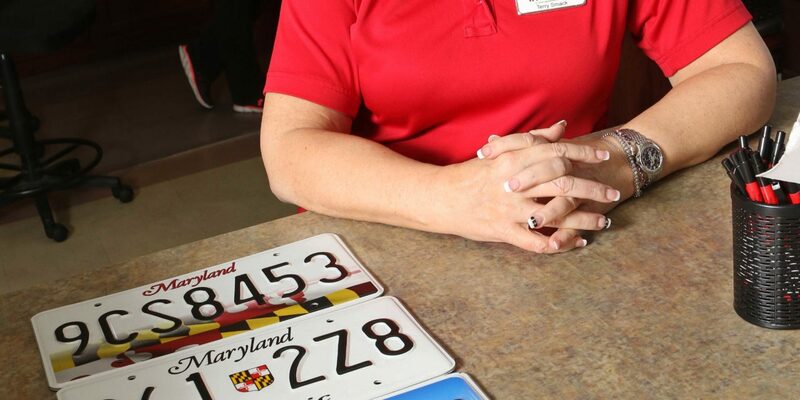 Some of the services Terry’s Tag & Title offer include: temporary plates, duplicate titles, license plate replacement, Chesapeake Bay plates, agricultural plates, replacement registrations, farm truck plates, new-to-state registration, insurance compliance cases, corporate and fleet Accounts, and tag returns. 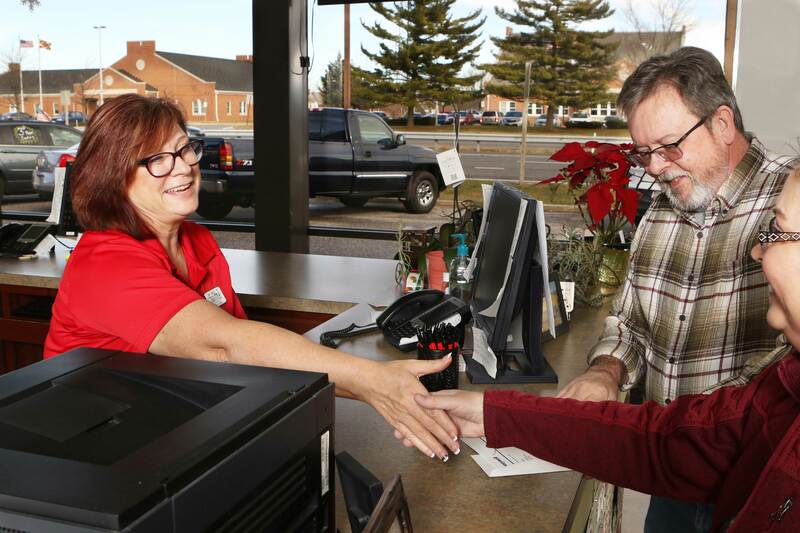 If you visit one of Terry’s Tag & Titles locations, don’t be surprised if you see Terry behind the counter. Like her employees, she works behind the counter because she wants to get to know her customers. Terry also believes in giving back to her community because “if it wasn’t for the community, we wouldn’t exist,” she said. She works with the State’s Attorney’s Office Domestic Violence program and serves on the Carroll Hospital Foundation Board. A couple times a year, she will donate a portion of the company’s business income to the foundation. She also buys several pigs and cows from the County 4-H students to support them. She then donates the animals to the food bank. She even works with the Carroll County Historical Society. Terry’s Tag & Title is one of only 200 agencies in Maryland that process title transactions. The company is one of 150 authorized company to issue license plates over the counter. 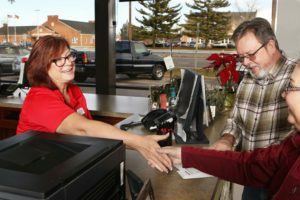 Terry’s Tag & Title office hours vary between locations, depending on when the greatest need for service is. After the planned seventh location in Baltimore County is opened, Terry feels her company will be as large as it needs to be. If and when Maryland changes its laws, Terry’s Tag & Title will start doing boat titling. Terry’s Tag & Title can issue organizational and handicap license plates. 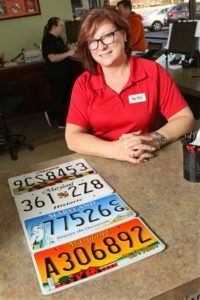 Although the business can’t issue specialty plates, it can process them with a 24-hour turnaround time. Terry’s Tag & Title is a member of Carroll County Chamber of Commerce, South Carroll Business Association, and Boles Foundation. Terry is the vice president of the Maryland Tag & Title Association, which she also founded. Terry received the 2015 Women in Business Award from the Carroll County Chamber of Commerce.